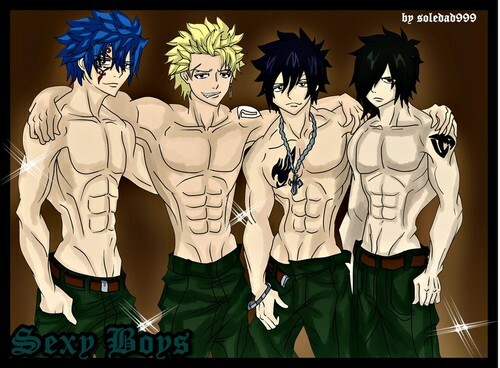 Jellal, Sting, Gray, Rogue. So...um... amazing *-*. HD Wallpaper and background images in the Fairy Tail club tagged: fan art deviantart sting jellal rogue gray. This Fairy Tail fan art contains anime, fumetti, manga, and cartoni animati.